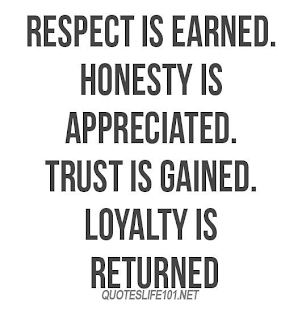 There are four characteristics that each person needs in their life: respect, honesty, trust and loyalty. The challenge with each of these traits is they are hard to find. Many people don't care anymore what they do and how they act. But what they need to remember is these four traits will help them through life. They will be most noticeable during those times when it seems all is lost. 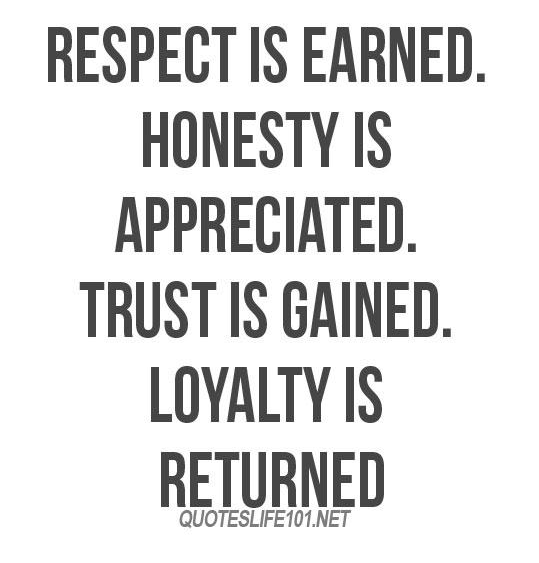 Try your best to acquire these traits. One day, you will be glad you did.